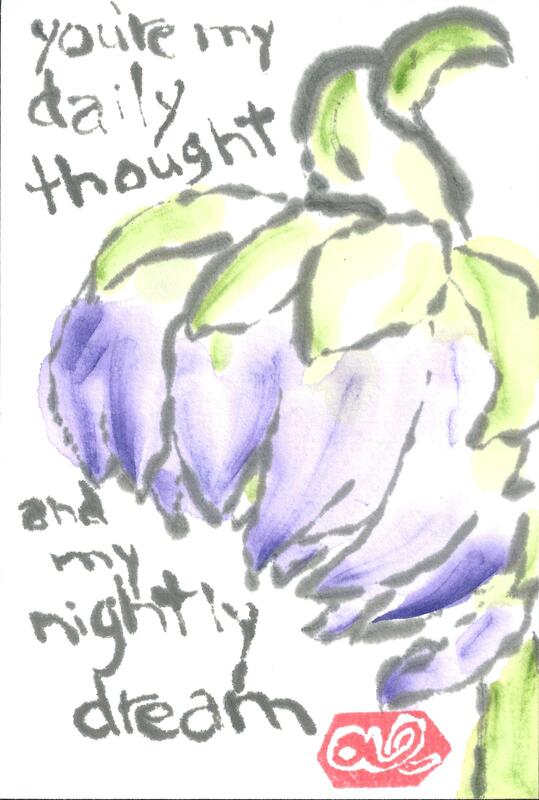 The words, “You’re my daily thought, and my nightly dream,” are lyrics from “The James Alley Blues,” a blues song by Richard “Rabbit” Brown, circa 1927. This particular line is romantic-bordering-on-obsessive, and reflects the sentiment of the song, which, taken as a whole, is dark. For a contemporary version of the song, check out Dom Flemons singing it for WAMU’s Bluegrass Country radio show.